Today I have added a new section to the website. I get asked to make all kinds of things that are not rings, pendant or earrings. I will now share those designs with you in the Gallery section under the title "Everything Else". I have added two items to the section to start. I will add more as time passes and also go through some of the photos of past pieces and add them as time permits. 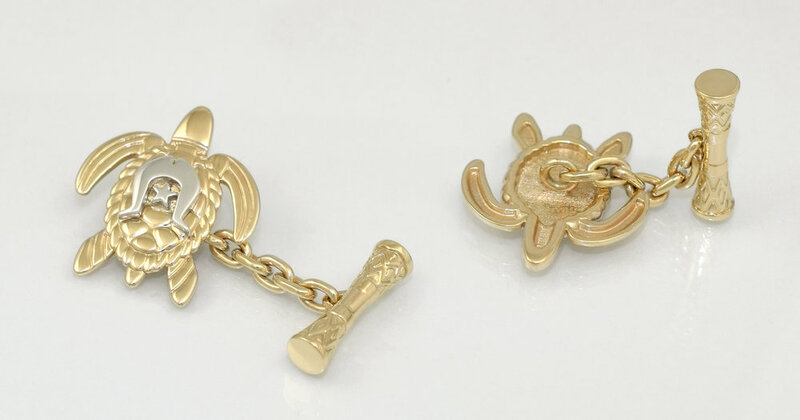 You can read more about each of these designs in their entries in that section if you like but the first item was a pair of chain cufflinks for a Zenadth Kes customer. The second item belongs to a category of jewellery that I used to make a lot of but not so much anymore, charms. The request for this design came from a longtime customer to mark the occasion of her husband becoming a Master Builder. The hammer I modelled the charm on.